Female macroptera. Body and legs brown. tarsi yellow; antennal segment III yellow, IV largely yellow also base of V; hind tibiae with 2 stout dark apical setae; fore wings brown with basal quarter pale and an extensive pale area sub-apically. Antennae 8-segmented, III–IV with constricted apical neck, sensorium forked. 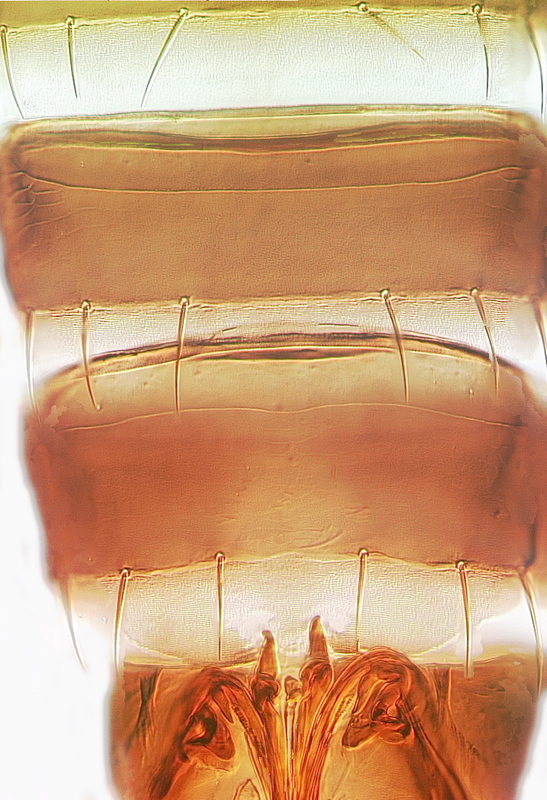 Head as wide as long; 3 pairs of ocellar setae present; pair III on anterior margins of ocellar triangle, almost as long as distance between compound eyes; postocular setae small. Pronotum with 2 pairs of long posteroangular setae, posterior margin with 4 pairs of setae; anteroangular and anteromarginal setae longer than discal setae. Metanotum with weak sculpture; campaniform sensilla present, median setae arise at anterior margin. Mesofurca with spinula. Fore wing first vein with long row of setae before distinct subapical gap followed by 2 setae; second vein with complete row of setae. 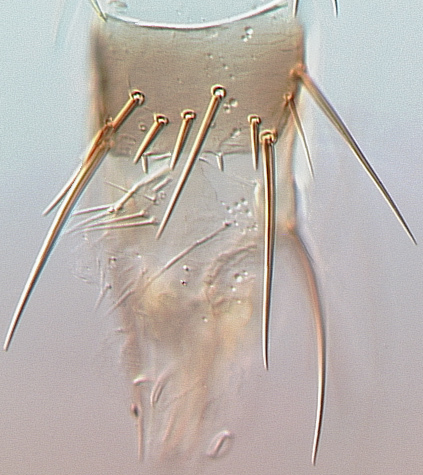 Tergites IV–VII without sculpture mesad of setae S2, ctenidia absent; tergite VIII with irregular group of microtrichia anteromesad of spiracle, posteromarginal comb of slender microtrichia present laterally. Sternites without discal setae; median pair of marginal setae on sternite VII arise at margin. Male macroptera. Similar to female but smaller and paler, legs sometimes almost yellow; antennal segments III–IV longer and more slender; tergite IX posterior margin with pair of short setiform processes, posterolateral pair of setae not short and stout; sternites without pore plates. Twelve species are currently listed in Megalurothrips, all from Old World areas between Africa, China and the Pacific. However, the validity of some of these species is open to doubt, including some of those most recently described. M. typicus is a S.E. Asian species that has been found in northern, and north western Australia. Unlike the other Asian species, females have the median pair of setae on sternite VII arising at the posterior margin, not sub-marginally. Widespread in Southeast Asia to Australia. Northern areas of Western Australia, Northern Territory. Various Fabaceae, including crops such as Glycine. Palmer JM. 1987. Megalurothrips in the flowers of tropical legumes: a morphometric study. In Holman J, Pelikan J, Dixon AFG & Weismann L. [eds] Population structure, genetics and taxonomy of aphids and Thysanoptera. The Hague (SPB Academic Publishing): 480-495.